We here at J World are pretty proud of our alumni. We run into them all over the place… from the remotest anchorages to the busiest marinas, it really is amazing how many people we continually run into who have been through some program at one of our locations. And when it comes to racing no one has sent more racers off to winners’ circles worldwide. Our coaches and alumni have won Transpacs, Chicago-Macs, America’s Cups, Volvo Ocean Races, and more national and world championships than we can keep track of. One young sailor who came to join us for a Banderas Bay Regatta in Puerto Vallarta a couple of years ago impressed us a lot with both his natural ability and his great attitude. 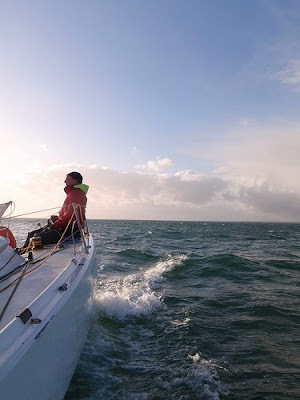 After the regatta, he headed off with aspirations to do some serious racing… visions of hot-rod singlehanded Mini Transats surfing in his eyes. While J/World SF manager Barry Demak took the weekend off from sailing to go skiing in the Sierras in Vallarta-like weather, a whole bunch of folks participated in the Singlehanded Sailing Society’s Three Bridge Fiasco on Saturday. 364 boats were entered! The name of the race refers to the course: Blackaller Buoy near the Golden Gate (YRA 16), Red Rock Island near the Richmond San Rafael Bridge and Treasure Island under the Oakland Bay Bridge – in any order! All the usual makings like a big ebb and light breeze, made the event the fiasco it is meant to be. We were thrilled to see a wide swath of J/World alumni and instructors participating on boats ranging from twenty-six to forty feet, but are especially proud of Richard Baker and Steve Harris. According to preliminary results, the duo finished fourth in their division out of 19 starters. Congratulations Rich and Steve! 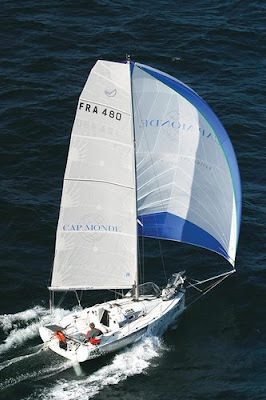 Steve’s J/105 “Frisky” is featured in our BoatShare program. Steve is a new, first-time boat owner and relatively new to racing. Rich previously owned and raced his own boats, before becoming a member on “Frisky” last fall. 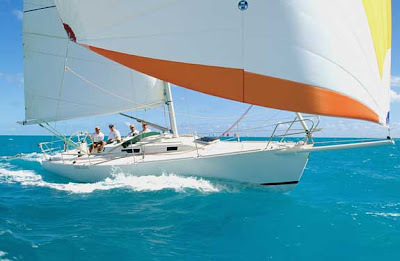 BoatShare by J/World simplifies boat “ownership.” Owners’ expenses are offset by membership fees, and members are able to use and sail a great boat like a J/105 as if they own it. Rich, for example, sails at least four times per month, and scheduled “Frisky” for the “Three Bridge Fiasco” several months ago using the online scheduler. Membership in “Frisky” is currently offered at just $525/mo. Contact Barry at info@boatsharebyjworld.com for more information about BoatShare by J/World. Lectronic Latitude has more on the race here.